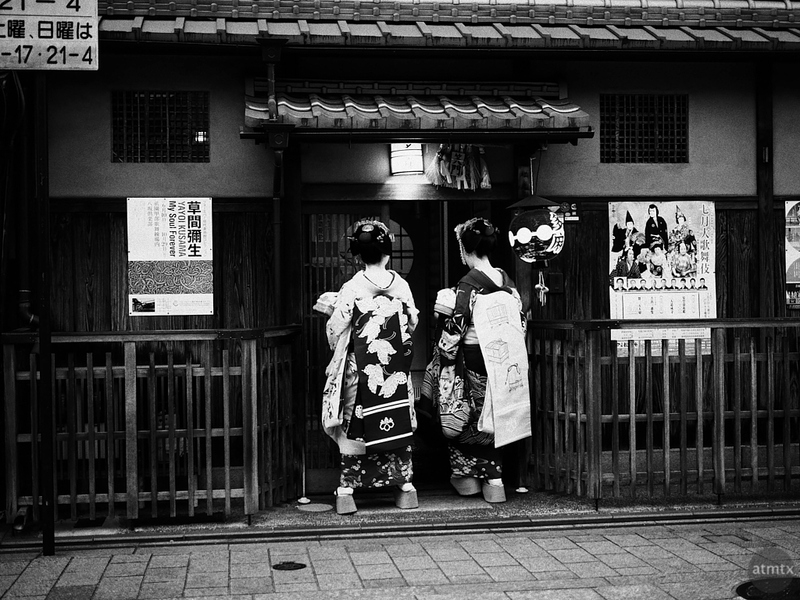 I went to the Gion neighborhood in Kyoto to visit the Leica Store, which I featured in the last few posts. It’s a beautiful, traditional Japanese district famous for well maintained old buildings, tea houses and restaurants. It’s also famous for Geisha, traditional Japanese performers dressed in Kimono. 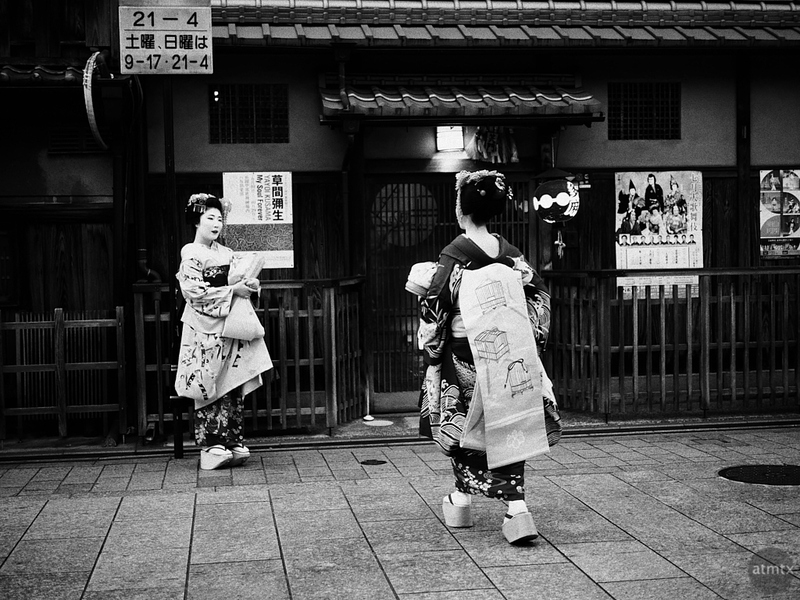 During my short visit to the Leica Store, I noticed more than the normal number of Geisha ducking in and out of buildings. What I found out from the onlookers and camera wielding tourists was that 5:30 to 6:00pm is prime time for Geisha spotting. Even so, it’s relatively uncommon to see one. They appear magically, almost out of nowhere, and equally quickly, disappear into tea houses. This fleeting sensation has a small army of tourists trying to capture these uncommon occurrences. I found it rather odd but got sucked into the challenge. The light was dropping and I switched to the 50mm f1.4 equivalent Panasonic Leica lens on my Olympus PEN-F. I figured, as long as I’m shooting the street, I wanted to create that traditional black and white look with a classic 50mm framing. Armed with considerably better equipment than the typical smartphone tourists, I came up with these. Not ideal. The composition is rather sloppy. But I supposed it does give the feeling of accidental, serendipitous photography, which it was. 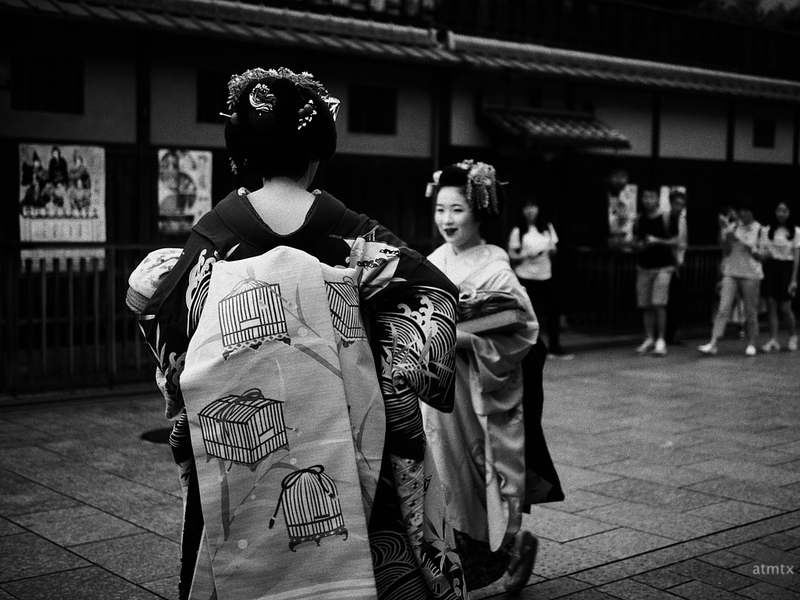 Technically, the people I photographed are Maiko, who are Geisha in training. 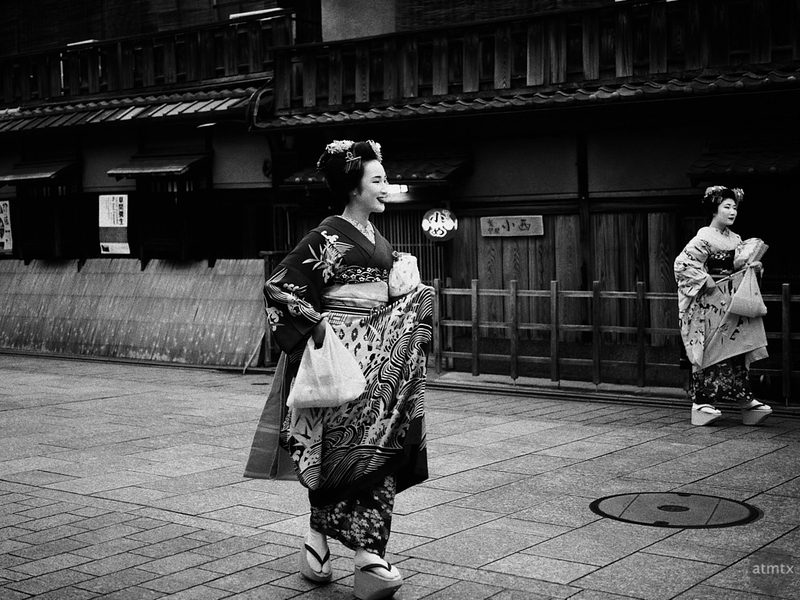 They wear more colorful and flamboyant kimono than the typically senior and more experienced Geisha. 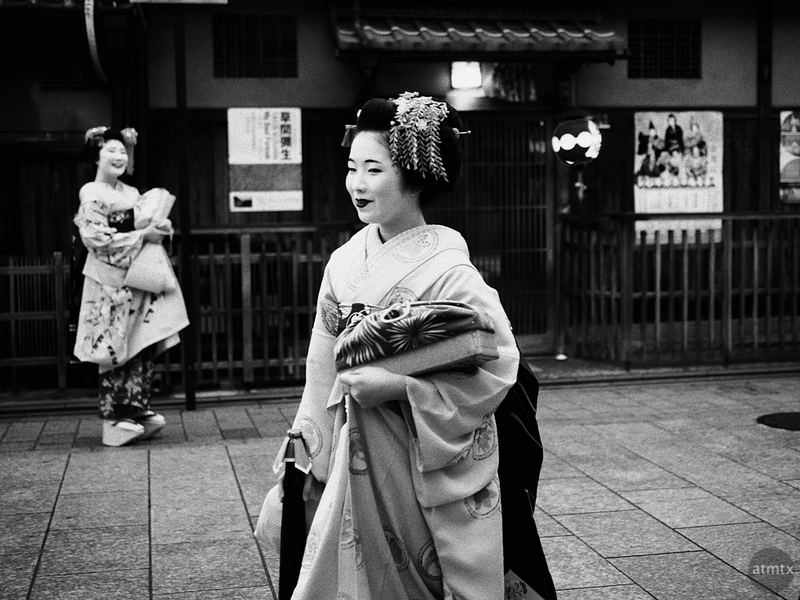 Love the one with the Maiko laughing in the background. I need to go see the Leica store. That must be the most unique shop in the world. Thanks, Jerry. I like that one too. You should definitely go. Highly recommended.